$7.5 million in liability savings in just 10 months! 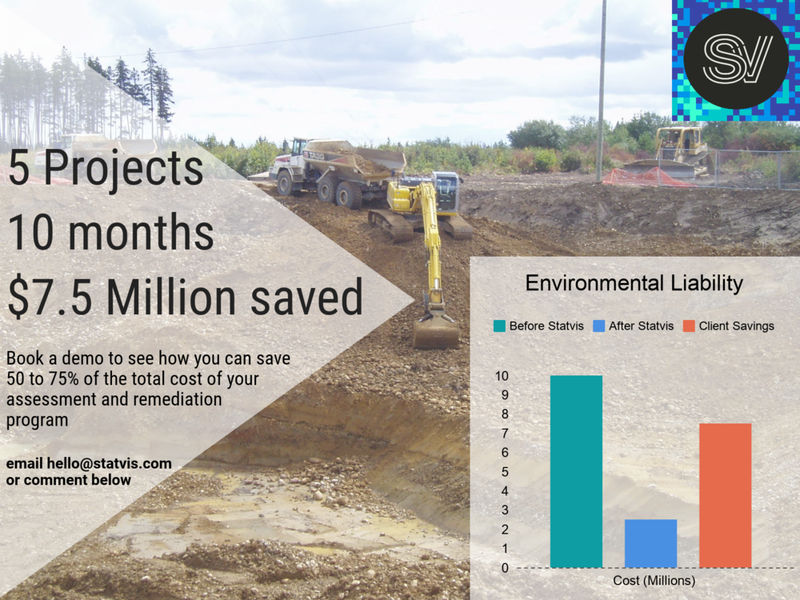 — Statvis Analytics Inc.
We are proud that on five projects over ten months we have saved our clients $7.5 million and in the process kept a lot of material out of landfills that does not belong there. Comment below or email hello@statvis.com for a demo to see how applying our tools can save you 50-75% of the budgeted cost of your assessment and remediation program.